For long, Verdelho's fame rested on its importance in the making of a type of Madeira, a fortified wine; the climate of the island of Madeira produced grapes readily suited for such use (though Verdelho plantings on Madeira itself were decimated by the Phylloxera plague of the later 19th century). But Verdelho has also long been vinified as a table wine, though till relatively recently, not a much-noted one on the world stage. From as early as the 1820s, Australians have been making wine with Verdelho, though generally as a blending component. It was a type well-suited to some of the major climate regions in Australia, and after some ups and downs in their wine industry (very well explained in a recommended article "In Defense of Verdelho" from Faber Vineyards of Australia), the growth in interest in labelled varietals starting there in the 1970s returned attention to Verdelho. When well made as a dry table wine, Verdelho makes wines that are profoundly aromatic while yet being full-bodied and complex; moreover, a well-made Verdelho is one of those uncommon things, a white that can improve materially with significant bottle age. Mind, a somewhat carelessly made Verdelho can produce (depending on the nature of the vintner's failure) either over-sweet "fat" wines of little character, or over-alcoholic and "hot" wines. The crux is picking the grapes at the right level of maturity: the full varietal flavor—often of nectarines, sometimes of lemon-lime—requires full maturity; but grapes left to hang a little too long have excess sugar, necessarily producing either those sweet flabby types or the high-alcohol ones (depending on how much of the sugar the winemaker let ferment). So a well-made Verdelho will be fresh, soft, and quite fruity when young, but will age gracefully into a rich, complex, and generally delicious drink (sometimes described as "oily", a trait it thus shares with, for example, Riesling). And it can be a great bargain—when you can find it at all. This is a type well worth getting to know. Factoid: Verdelho does not, despite some claims, seem to be at all related to the Godello grape, despite a comical chain of name confusions (also involving the Gouveio grape) that cloud the issue. Wine-grape nomenclature is a wild and wooly business. "The grape has been successful in the vineyards of Australia, particularly the South Burnett wine region in Queensland, Hunter Region, Langhorne Creek, Cowra and the Swan Valley. Australian versions of Verdelho are noted for their intense flavors with hints of lime and honeysuckle and the oily texture that the wines can get after some aging." "The aromatic profile of Verdelho is crisp, sometimes with leafy or spicy accents. It typically makes rich wine in the Old World, with ripe apricot and stonefruit aromas, while in Australia it is more reminiscent of citrus and tropical fruits. . . The [Australian] wines show good acidity and freshness and express a number of regional differences. Western Australia is known for producing Verdelho wines with honeysuckle and lime-cordial flavours while South Australian examples tend to be more tropical. New South Wales versions have a spicy character, often showing pear and white pepper notes similar to, but less intense than, Grüner Veltliner. It is usually produced as a varietal wine but it is also common to blend Verdelho with Chardonnay or Semillon." "I believe that verdelho is an interesting and challenging variety, a test of grapegrowing and winemaking, that if successful can produce a delicious young wine that will improve for a very long time in the cellar. 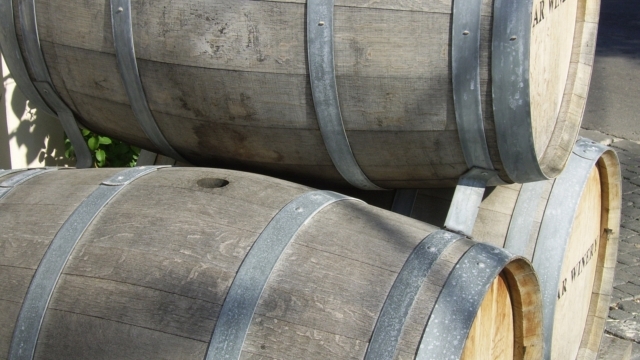 As a variety it has the rare characteristic of being both aromatic and full bodied. Its varietal character is of ripe nectarines and sherbet, and this is only achieved when the fruit is fully ripe. The flavours develop late in the season so it is essential not to pick too early. However it is also prone to over ripeness, stuck ferments and excessive phenolics and it can easily produce sugary, broad, fat, unattractive wines. The high sugar level of the grapes creates the risk that the wine will be hot and alcoholic or suffer a stuck ferment and have residual sugar. 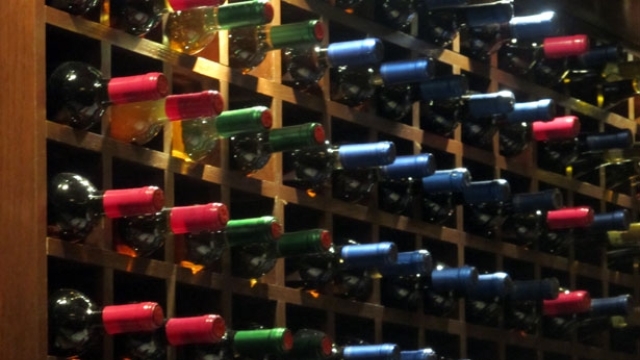 Achieving a fine, vibrant, intense wine is no easy task. Well made verdelho has the happy knack of satisfying the lover of complex dry wine as well as those who enjoy softer fruitier wines." "The variety has had its most notable success in vibrant, lemony, substantial table wines in Australia, most notably in some of the hotter regions of Western Australia." "Verdelho is known for its high acidity when aged, but if it's drunk young it usually possesses strong fruit flavors. Most verdelhos are usually consumed within two years of vintage and the wine is very reasonably priced . . . Australian versions of verdelho are noted for their intense flavors. The wine is usually aromatic and high in alcohol. There's also a surprising amount of flavor variation between the States. Swan Valley verdelhos are usually fresh and fruity, sometimes with a honeysuckle vein. Langhorne Creek verdelhos have a soft and flavoursome palate with tropical flavours such as pineapple and guava. South Burnett verdelhos have tropical notes of pineapple, melon, tropical fruits, guava, honeysuckle and fruit salad. In general, the cooler the climate the more herbaceous, grassy and spicy the wine is while warm-climate verdelhos have more tropical flavours and aromas. If the variety is picked early it will exhibit more citrus and herbaceous elements, while rich fruit flavours will be dominant if it's picked late. Recently some South Burnett winemakers have noticed that while verdelhos usually degrade very rapidly two years after vintage and become acidic, some verdelhos have the capacity to "come back" after five years (in much the same way that semillon does) and produce a very fine wine indeed. So experiments are now being conducted to see if this process can be reliably replicated." "The characteristics of Verdelho wines vary according to the climate, growing conditions, and the wine-maker’s art. The wine is usually aromatic and high in alcohol and acidity. Its palate can be rich, herbaceous, spicy and nutty with tropical fruit flavors. 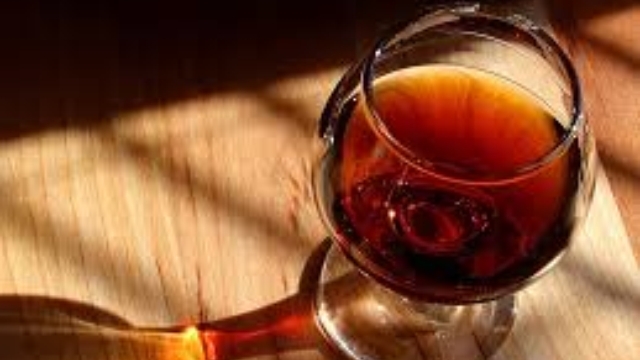 In Portugal Verdelho produces fortified wines; it is a major component in the famous Madeira wines. In France Verdelho produces a dry white wine. 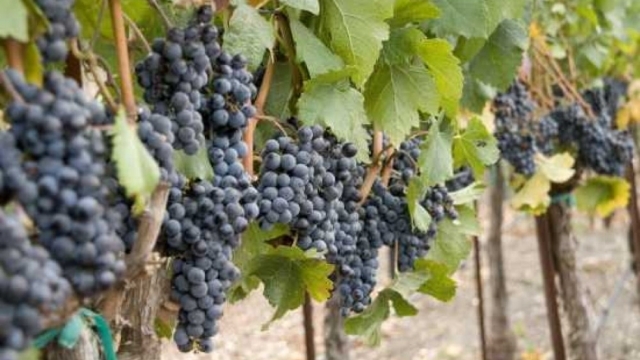 In Australia these grapes are transformed into dry, fruity wines and fortified wines." "The wines with the greatest purity of fruit are those from cooler climatic zones such as Langhorne Creek, Margaret River and Yarra Valley. Occasionally somewhat lean, the wines retain a powerful streak of acidity (much as in Madeira) which is frequently offset by 2–3g of residual sugar. Consequently, these wines are capable of taking some bottle age though – rather like Viognier – the allure of Verdelho arguably lies in the immediacy of the fruit. At the other end of the climatic scale is the Hunter Valley, where Verdelho now counts as one of the main white grape varieties, alongside Chardonnay and Semillon. The wines here tend to be more tropical in character but can exhibit broad, oily characteristics. "Most Australian verdelho comes from the Margaret River and Swan Valley regions of Western Australia, and the Hunter Valley in New South Wales, with the Granite Belt an outpost in Queensland. Its generous fruit salad flavour, evident from the conclusion of fermentation, needing neither bottle age nor oak, has doubtless contributed to its massive growth." Wine Searcher reports well over half a thousand matches for "Verdelho", so one might think this list easy to make. Nope. As always, we slice at the raw list with three knives: quality, price limit, and scope of availability. Since only a very few of the fine Australian bottlings make it to the U.S. (and those that do, only to a paucity of merchants), we ended up with a rather short final list. ♦ A ripe, smooth wine that is lightly textured and rich. It has a crisp line of acidity to cut through the spice, the orange and the apple fruitiness. There is no hint of the high alcohol on this fragrant, fruity wine. 87 points. ♦ Fresh, fruit-forward and richer than expected, green apple, fresh cut grass and considerable substance on the palate - fantastic acidity, perfect for scallops! A ripe, smooth wine that is lightly textured and rich. It has a crisp line of acidity to cut through the spice, the orange and the apple fruitiness. There is no hint of the high alcohol on this fragrant, fruity wine. Drink now. Despite its alcohol, this is actually a delicate, stylish, lemon-scented wine. There is an attractive perfume that shines through the oil and mineral texture. A great food wine. The lively perfume of Verdelho shines through this crisp, fresh wine. There’s a great texture of pear skins, followed with spice over the green fruit, finished with wafts of citrus and lime. Floral, crisp, this wine hints at spice, showing green and yellow fruit acidity, cut grass aromas, and dried apricot sweetness. It is relatively full, but this doesn’t detract from the apéritif-like freshness. Spicy, aromatic, touched by minerality and chalk, with an intense texture, the wine remains fresh, though, a fine apéritif wine, ending softly. This grape variety produces a delicate, flowery wine, with mango and citrus flavors and good structure. ♦ Like California sauvignon blanc but with more melon and stone fruit; minerals at finish. ♦ This lovely wine is a steal for $13. Its bright green notes (newly cut grass, asparagus, fresh sage) are reminiscent of Sauvignon Blanc, but the Verdelho is rounder and fuller in the mouth. A clean, refreshing lemony finish makes “V” an ideal warm weather wine. 89 points. ♦ Light yellow color; tart citrus, very tart peach nose; tart citrus, very tart peach palate; medium finish (89 point). ♦ A New World style approach yielded a wine with delicate citrus and orange blossom bouquet, a bright citrus mid-palate with mango notes, broad and firm acidity, and hints of a complex nuttiness that made this grape a favorite in Madeira for fortified wines. Verdelho is similar to Verdejo in its bright citrus and high acidity but has a more complex texture, and is not as thin and high acid as Albarino. ♦ This pale yellow colored Verdelho from Portugal opens with a mild Bartlett pear bouquet with a hint of banana. On the palate, this wine is medium bodied, slightly acidic and savory. The flavor profile is a mineral infused Anjou pear with hints of green apple. The finish is dry and it is slightly prolonged. 88 points (Very Good). ♣ This wine is retailed in the U.S. almost exclusively by the Total Wine chain; many of its outlets carry it. ♦ I can't believe how much flavour there is in this wine whose alcohol content is just 12.5%, and there is no desperate hurry to drink it. It's the 2012 that is tasting particularly well at the moment - stunningly attractive, with notes of both citrus (recalling one of Australia's great gifts to the world of wine, Hunter Valley Sémillon) and the attractive aspects of varnish, a recurring theme with the Madeira grape Verdelho, I find. It is truly tangy but has good fruit ballast too - and makes a thoroughly satisfying aperitif as well as being assertive enough to drink with food. . . I don't have the sense that this wine will deteriorate rapidly in bottle, and Verdelho is generally ageworthy, but the 2012 is already delicious so I see no particular reason to cellar it. The 2013 is well on the way to this delightful state but I would hold it for a few months while the fruit broadens out on the palate, as has happened to the 2012. . . This wine is made by one of the most respected producers in Australia, the sort of historic, mid-sized operation that, like Yalumba in South Australia, forms the solid backbone of the Australian wine industry. ♦ Retaining plenty of translucent, youthful colour, its simple dry straw and lemon zest aromas precede a cleanly balanced, viscous palate of agreeable freshness. Pure and zippy nuances of nettle, limes and lemon zest are framed by a lightly effervescent, spritzy acidity, finishing with just a trace of green edged flavour. A very spritzy, cleanly flavoured quaffing white with a genuine point of difference to its unique varietal expression, but I would loved to have seen it a touch drier. Great wine at this price though. 89 points. ♦ [M]ulti-layered white with zingy white peach and lime flavours. ♦ Light to medium-bodied; clean, fresh fruit salad varietal flavour; good balance. 88 points. 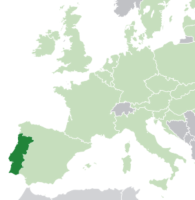 ♦ Australia is the only country that makes table wine of any consequence from verdelho, other than perhaps Portugal (in small quantities). Pale straw-green, it has neatly poised tropical fruit with lemon and straw notes, quite fleshy on the entry, then tightens up with lemony fruit on the crisp finish. 90 points. ♦ This is most definitely tropical in nature, with delicious notes of peaches and pear drizzled with honey, but the wine manages to retain a nice crisp and refreshing feel. ♦ Imagine a wine that has the peachy weight of Chardonnay in tension with the tight pithy edge of Semillon, add in some notes of musky pearskin and a light nuttiness on the finish, and you won’t be far off the mark. ♦ I was attracted by the intensity and vitality of this wine, wonderfully fresh and lively, with spicy, tropical notes and a honeyed character. We found no Verdelho wines notably better-rated than those in the list above, so no "splurge" targets available.